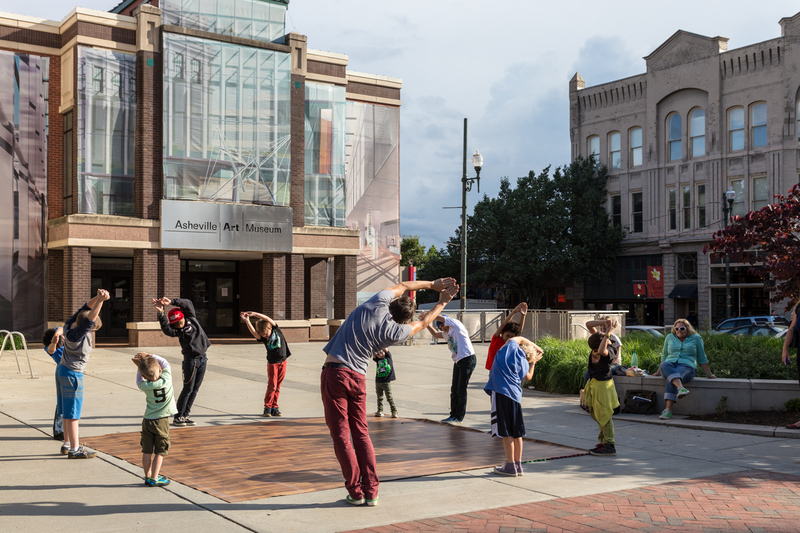 Downtown Asheville, North Carolina buzzes with a collective hum. Perhaps it’s due to the city’s membership in the Bee City USA national pollination program. More likely it’s because Asheville resonates for everyone: the rich and famous who came in the 1920s, today’s health enthusiasts who bicycle, jog or hike the mountainous roads, musicians who perform on street corners and micro-breweries that concoct the latest craft beer. 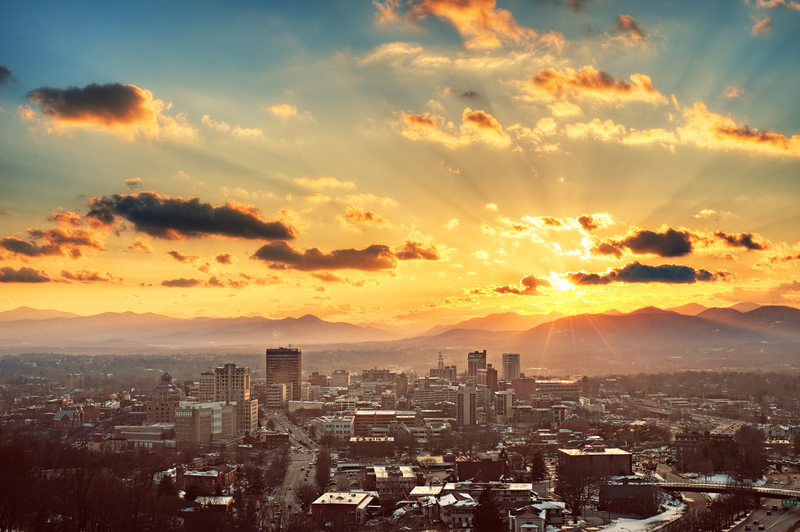 Asheville is a happening crossroads where visitors, locals and honeybees thrive on diversity and natural delights. Touring his art-filled house with an audio guide is a must. Allow between one-and-a-half to two hours, but don’t rush. Think of the place as a vast art museum with the personal touches of a multi-millionaire: medieval tapestries, spectacular sculpture, detailed wood prints, exquisite paintings and fine furniture from world-class craftsmen. In addition, the home includes a gorgeous library with 10,000 volumes, a castle-like banquet hall with a 70-foot ceiling, 65 fireplaces and 43 bathrooms. The rambling exterior incorporates stone architecture resembling the chateaux in the Loire Valley of France and carved stone figures like those found on Notre Dame. The immense property makes you shake your head in disbelief. 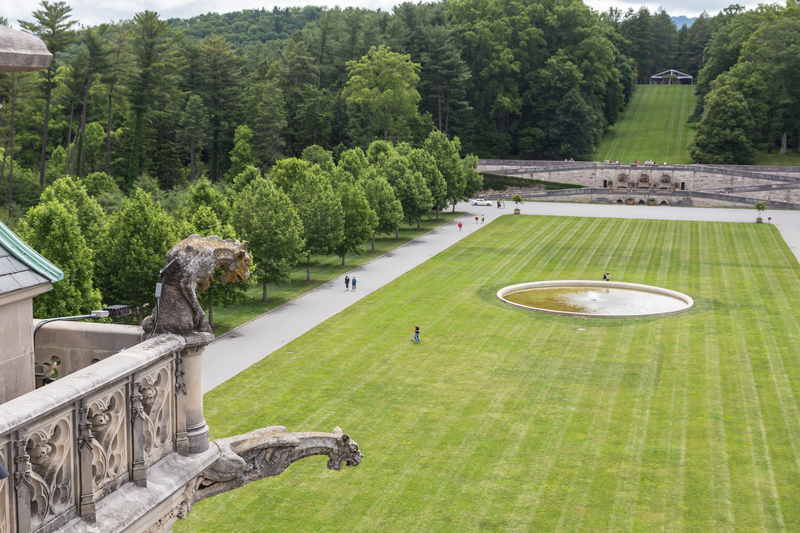 The Biltmore may not be a hidden gem, but taking the behind the scenes Rooftop Tour certainly ranks. The tour, led by a knowledgeable expert, guides a small group through areas off limits to regular visitors. Naturally, ascending to the rooftop is the highlight; it and the wraparound balconies offer incredible panoramas. Climb the spiral staircase in the Observatory to venture outside. You can inspect the stone carved grotesques and gargoyles, stone figures that act as drain pipes. “Patting the buttocks of the statue without a tail gives good karma,” claimed my guide. So naturally I just had to give him a tap! You’ll learn how the roof was designed to prevent snow from cascading down and damaging the glass solarium. At the tour’s end, you stop at the spot George Vanderbilt liked to take his guests for sunset. Wine tasting at the Biltmore is included in your ticket, but I missed Antler Hill Village and Winery due to lack of time. 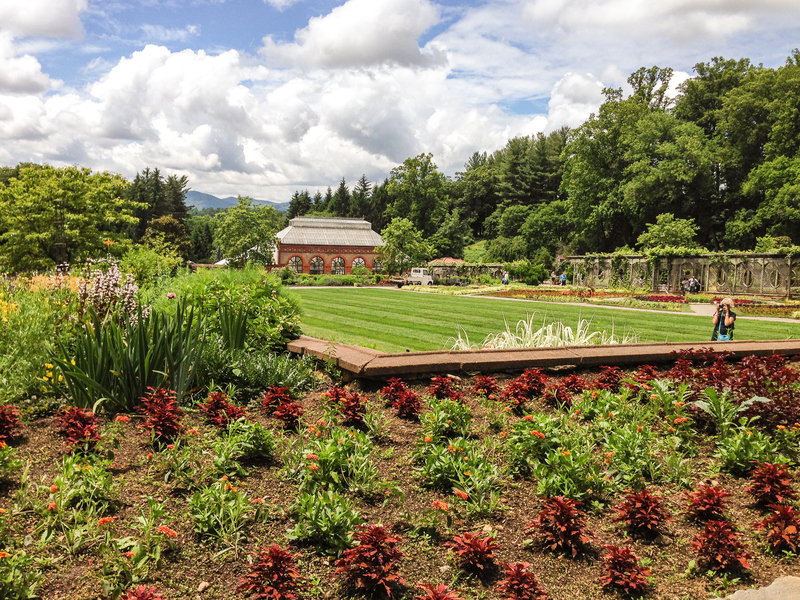 To properly see the estate, gardens and vineyards you need a full day. Consider advance reservation at an additional cost for outdoor extras such as the Sports Clay School, horseback riding, Segway tours, fly-fishing, biking and kayaking. Don’t cut yourself short. My lodging choice was truly a hidden jewel; I passed it by twice before locating the entrance to the Sourwood Inn off the Blue Ridge Parkway and Elk Mountain Scenic Highway. Once you find it, your cares drift away. 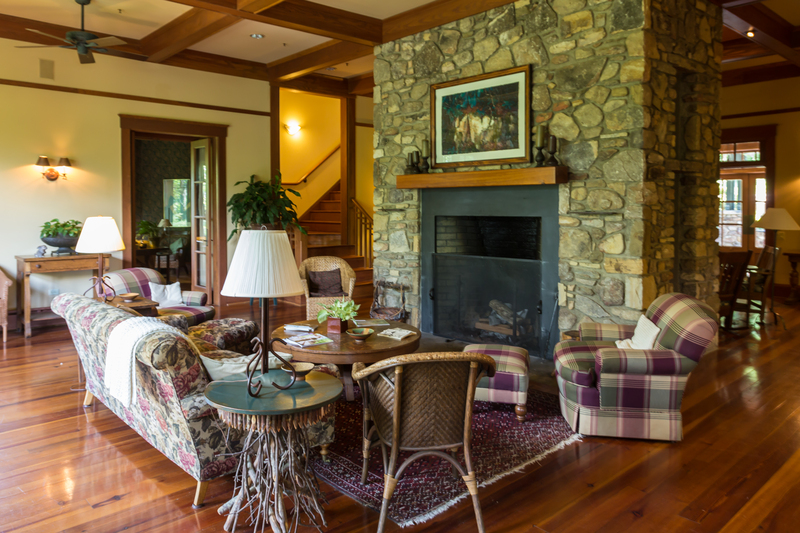 The twelve-room retreat sits on one hundred acres of mountainous terrain at 3,200 feet elevation, but just ten winding miles from downtown Asheville. Owner and hostess Susan Curtis is the sweetest lady ever. You’ll want to come back just to chat with her. In fact, 80% of the inn’s business is return guests. 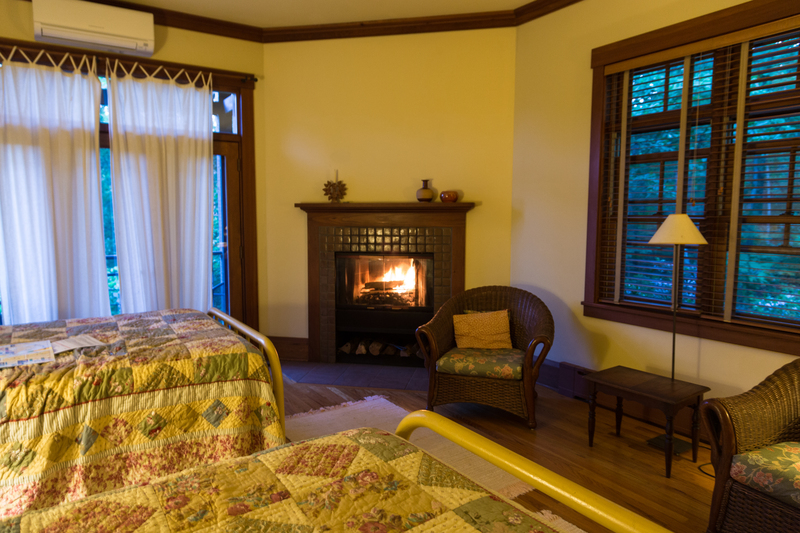 The bedrooms are spacious, airy and inviting, and each comes with a fireplace stacked with logs and kindling. All you have to do is strike a match. The common areas like the lobby, library and sitting rooms beckon one to sit and reflect. I’d call the decor refined rustic, not cutesy country. Warning: there is no Internet or television in the guestrooms. (A television can be found in the downstairs game room.) My Smartphone got access, but some do not. Sourwood was designed to be a relaxing getaway, so indulge yourself and escape the high-tech world. Full breakfasts and afternoon refreshments come with a stay, and you may bring your own wine or beer. The chef prepares dinner on selected evenings, usually the end of the week through the weekends. Don’t miss these; they are bargain priced gourmet meals from a fabulous chef. Another hidden gem at Sourwood is owner Jeff Curtis’s falconry. Make an appointment to meet some of his hawks and learn about how they are trained and later released. 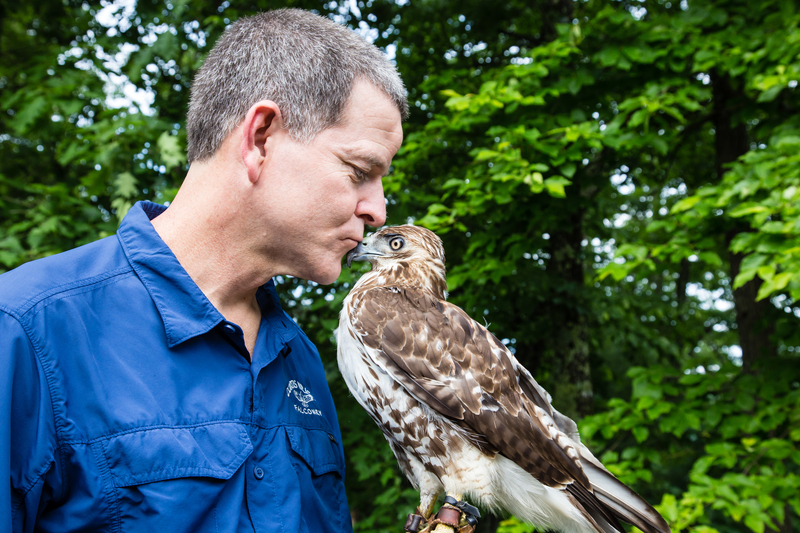 Jeff has a love affair with the birds and loves to share his passion. 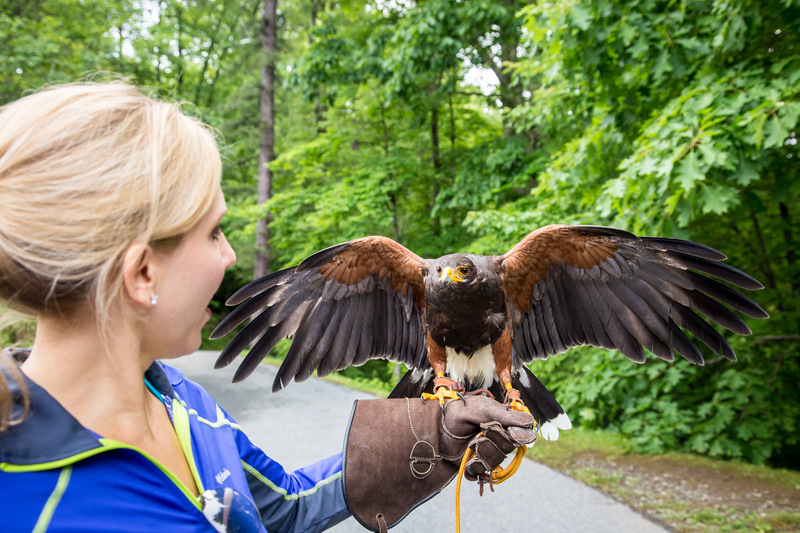 Ask about hands-on demonstrations for groups or hire him for a hawk walk. 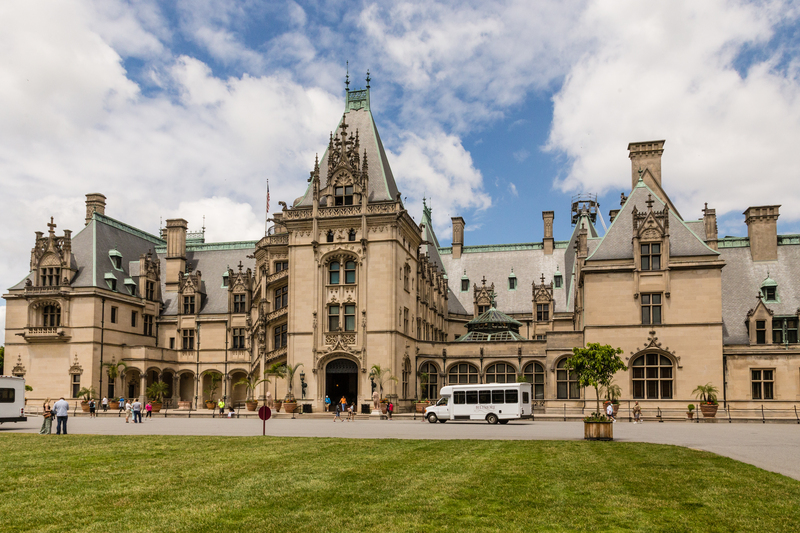 The Omni Grove Park Inn is another Asheville landmark, a grand dame in the style of the National Park Lodges: Old Faithful Inn, Yosemite’s Ahwahnee and El Tovar. 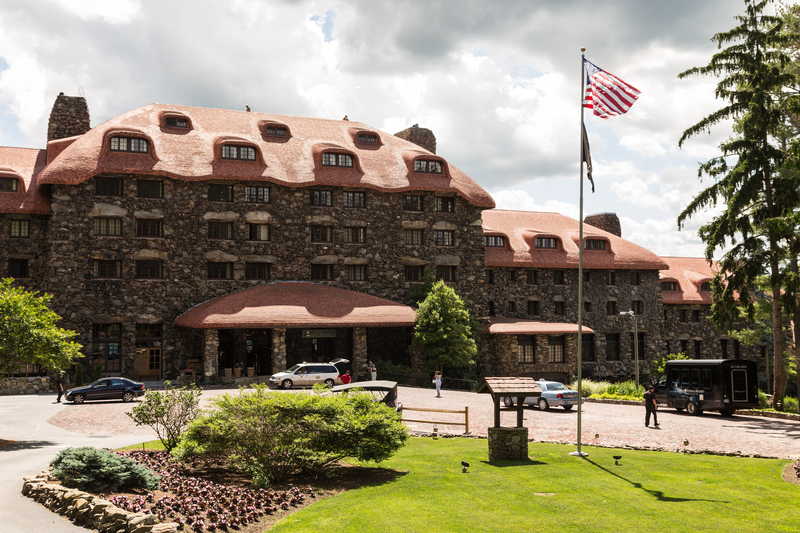 The hotel, constructed from local stone, celebrated its 100th anniversary in 2013. I discovered some hidden areas in the grand lobby that are certainly surprising treasures. I rode up an elevator in the chimney within one of the massive stone fireplaces. The secret elevator isn’t that clandestine, however. It has its own operator who will gladly take you for a ride to the 3rd floor Palm Court. This area, the solarium, is illuminated by an enormous skylight and acts as a sunroom or lounge. 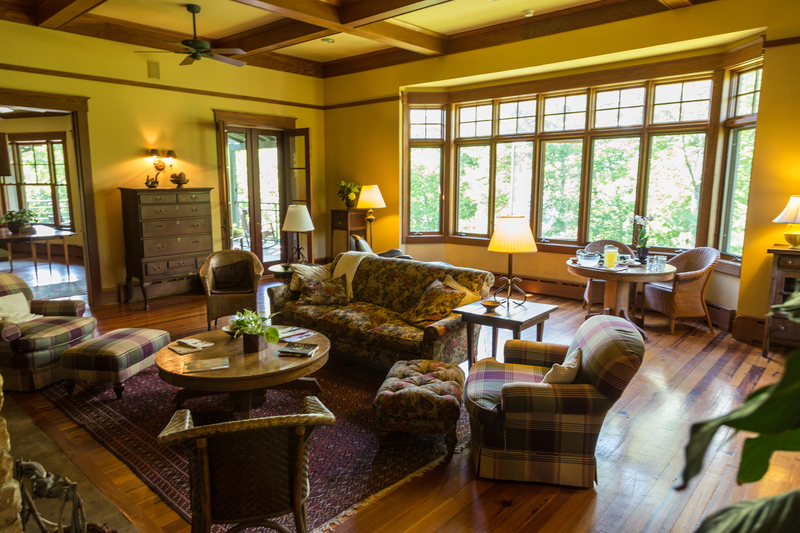 The decor and furnishing are originals in the Arts and Crafts style of Roycroft or Stickley or copies. The details in the woodwork and wall stenciling show the influence of Native design, again reminiscent of National Park lodges in the West. I loved this little hideaway. The Omni Grove Park earns AAA Four-Diamond Hotel status and has hosted many United States’ presidents and other notable personages over the decades. 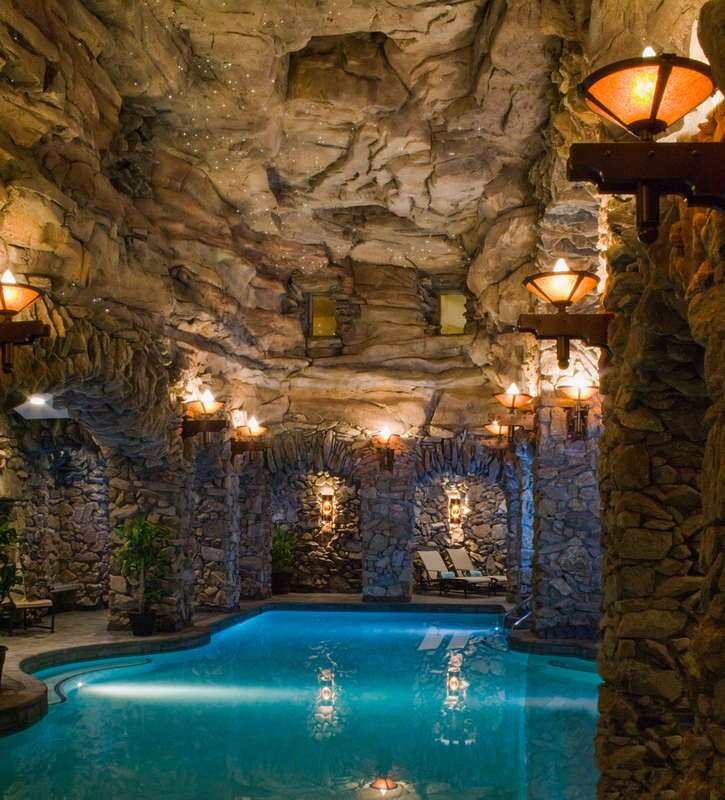 The hotel’s real hidden gem is the subterranean spa, a $44 million, 43,000-square-foot addition completed in 2010. Only those with appointments may enter. I was told that services are offered in 31 treatment rooms and open air Pagoda massage rooms. I didn’t have time to take a spa treatment, but I will return to Asheville just to indulge. 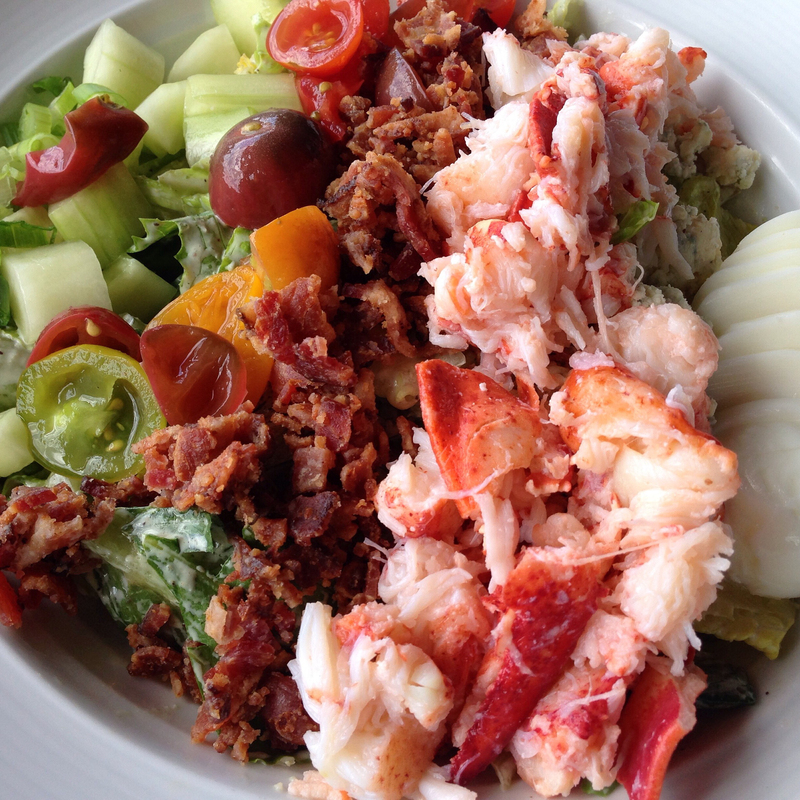 I also lunched on a scrumptious lobster Cobb salad on the Sunset Terrace. The views from this location are some of the best in the city. 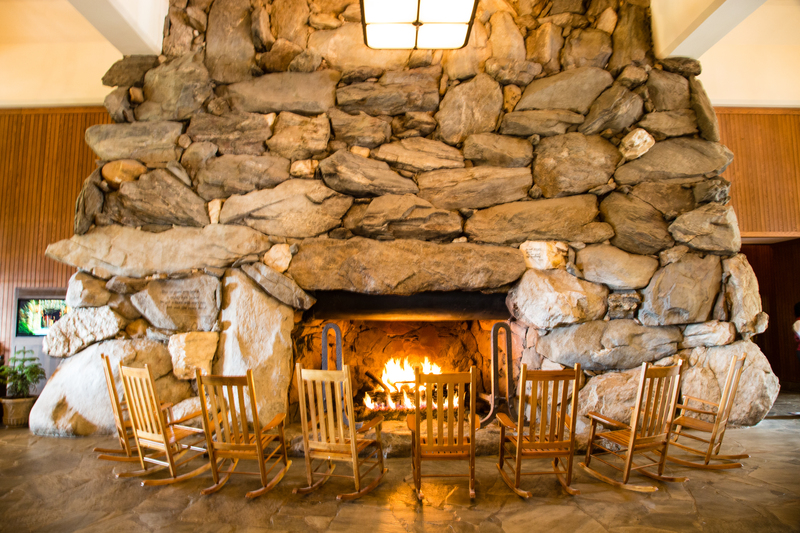 Even if you don’t stay, stop by the Grove Park Inn to tour, dine or book a spa treatment. Another upscale Asheville gem I found and adored was Rhubarb, a restaurant on Pack Square, featuring meals prepared by Chef John Fleer. Chef’s command of the kitchen previously put the Blackberry Farm in Tennessee on the foodie map. Try the Rhubarb glazed duck comfit. One visit to this scenic area brimming with activity is not enough. 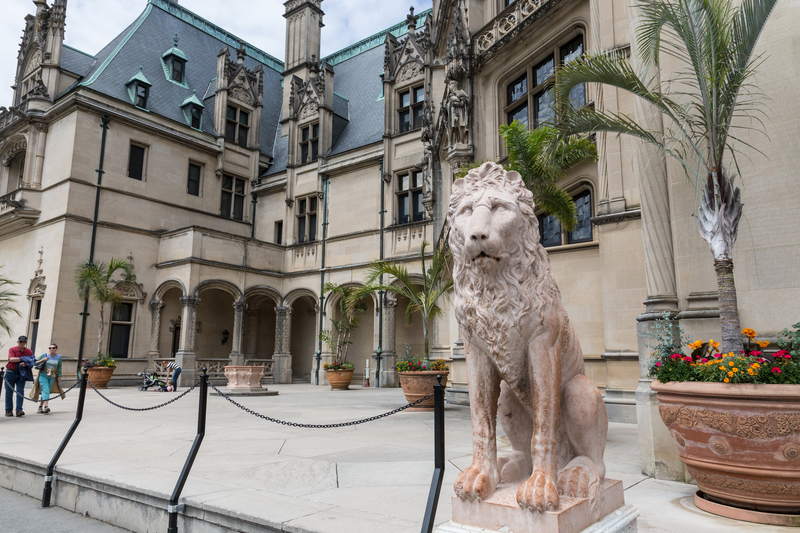 I found more than enough reasons to return to amiable Asheville.